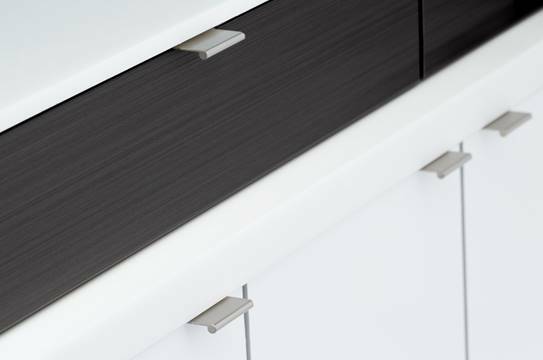 Osborne Wood Products offers an innovative service that meets electrical application needs in the kitchen. 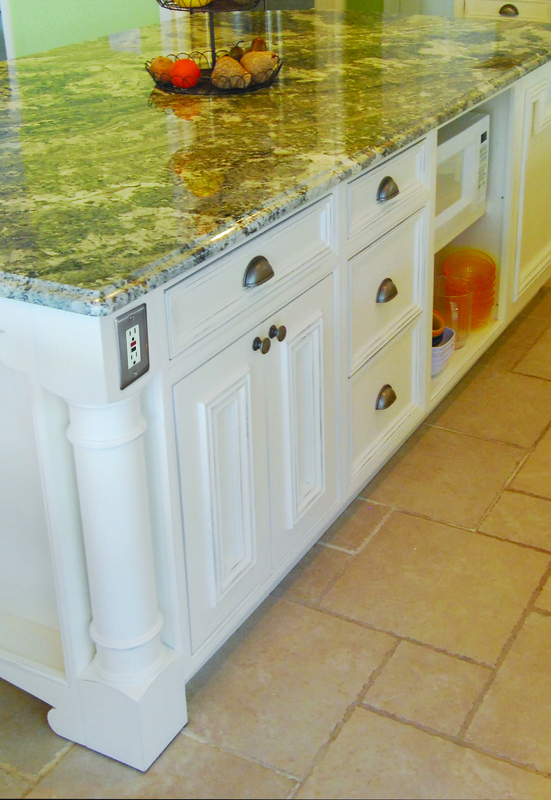 The company has created an Electrical Receptacle Notching service to easily accommodate an outlet on any kitchen island. The electrical receptacle notch service includes three components to make the job of the builder, installer, or home owner simpler. The first step to the receptacle notch service is a hole through the center of the island post. This hole goes through the entirety of the leg, allowing for electrical wiring to be inserted from either the top or bottom, depending on application. The second step is a receptacle notch that is added to the top block of the island post. Finally, the third step is adding a standard box to the notch. This allows the user to choose the exact electrical application that will be added to the box later. This service is available through the Customer Service Department at Osborne Wood Products.